Alaska Airlines, which maintains an all-Boeing fleet, helped the aerospace giant mark 100 years of plane building. A crowd of 700 business and government leaders joined the festivities. 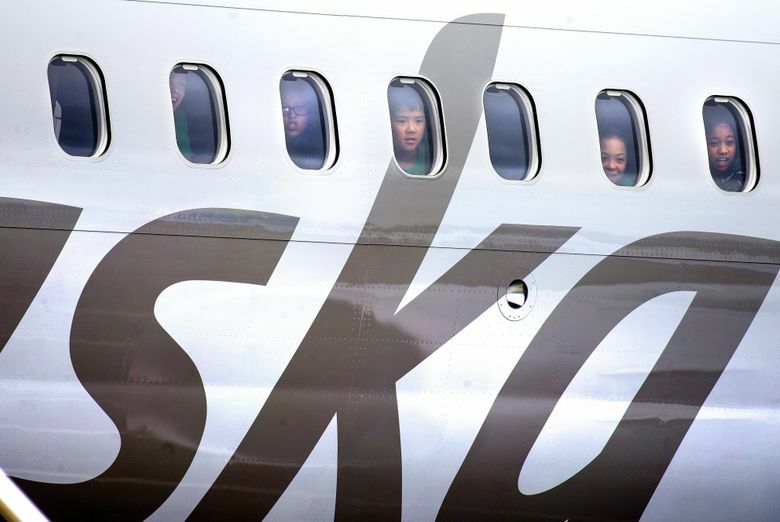 Alaska Airlines and 700 local business and government leaders gathered Thursday to celebrate Boeing’s 100th birthday at the Museum of Flight, unveiling a specially painted Alaska 737. 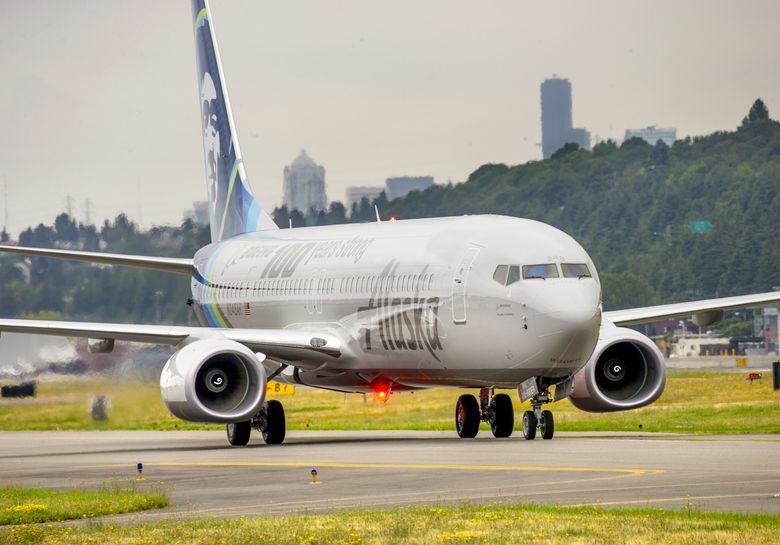 The new jet marks the 153rd Boeing 737 in Alaska’s all-Boeing fleet and features a Boeing logo with “100 years strong” painted on both sides of the fuselage. Boeing will officially celebrate its birthday July 15, with Thursday’s event being one of many summer activities celebrating the aerospace company’s 100th. 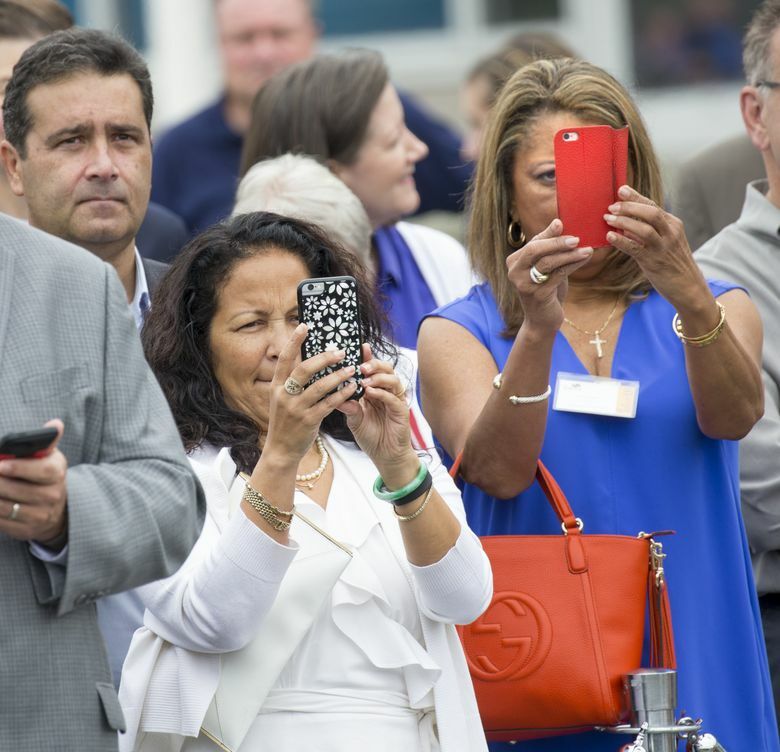 With Boeing Field as a backdrop and jets disappearing into the clouds above, local business leaders and government officials from across the state socialized and listened to music and speeches. A performance by Global Connections High School’s Jazz Band kicked off the day and set the jovial tone that marked the event. 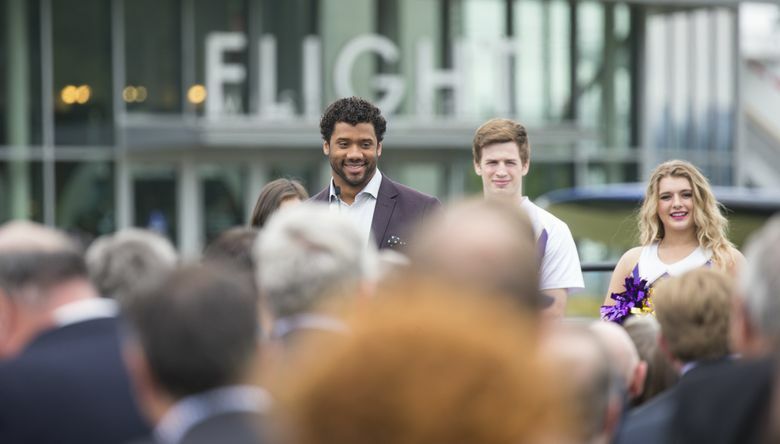 Seattle Seahawks quarterback Russell Wilson, an ad spokesman for Alaska, arrived with the University of Washington marching band and cheer team. 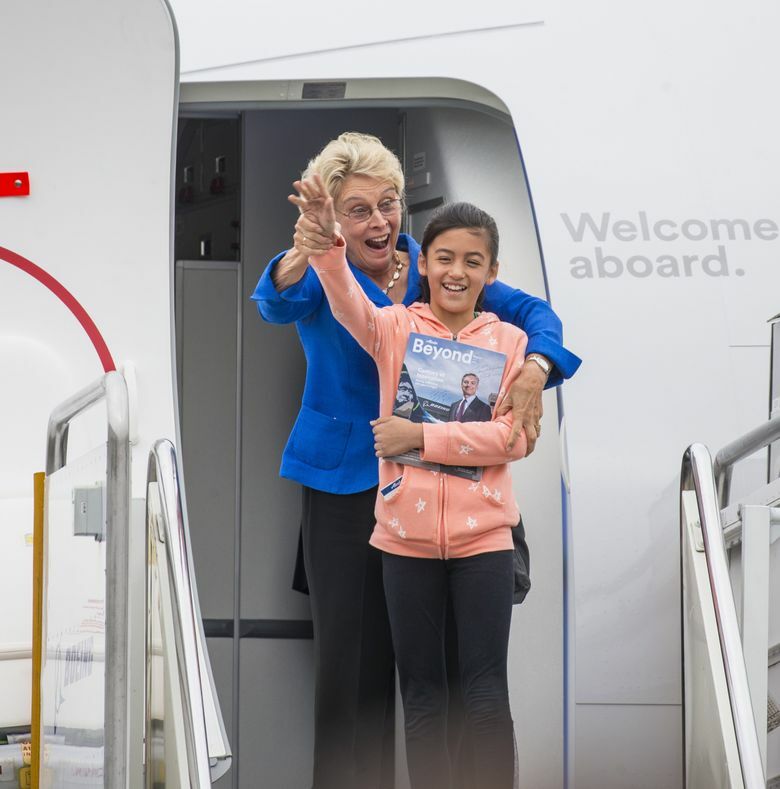 While the Alaska 737’s arrival was delayed, Wilson held an impromptu question-and-answer session with the audience, talking about everything from his preference in cars to his life advice for young people. 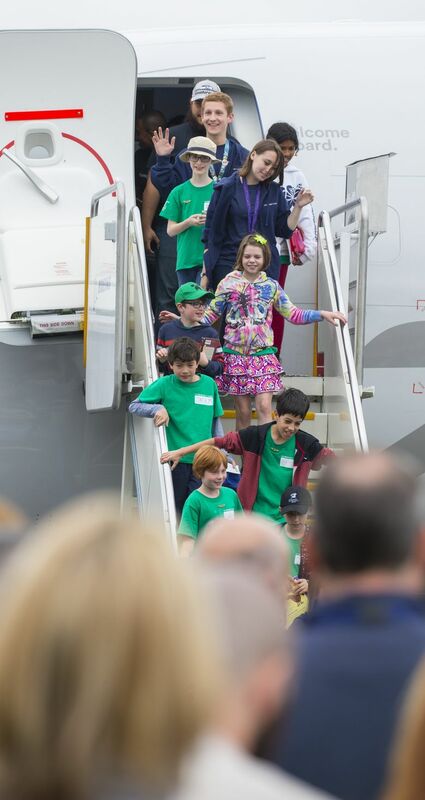 The jet arrived, bringing Tilden, Boeing Commercial Airplanes CEO Ray Conner, five Washington governors and a group of children. Tilden gave Wilson a wedding blessing; the quarterback is engaged to singer Ciara. “May you always call the right audible, and when you call the wrong audible may you always apologize quickly,” Tilden joked. At the event, Alaska and the business community presented Boeing with a $100,000 donation to the Washington State Opportunity Scholarship. The fund aims to help low- and middle-income state residents earn degrees in science, technology, engineering and mathematics. Boeing matched the donation with a $100,000 donation. 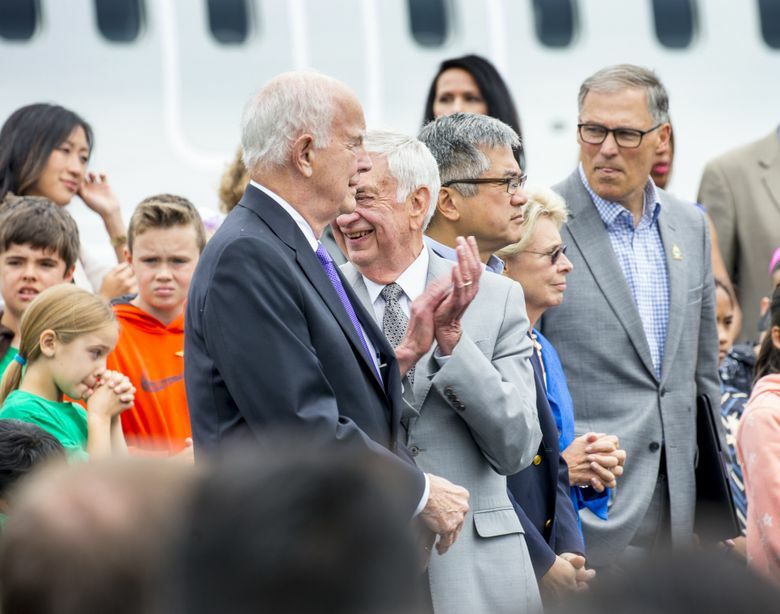 Conner reflected on how the success of Boeing today is not only the product of Washington support, but also the product of the ingenuity and passion of its employees. Another highlight of the event was the appearance of five Washington governors: current Gov. Jay Inslee, and former governors Chris Gregoire, Gary Locke, Mike Lowry and Dan Evans. 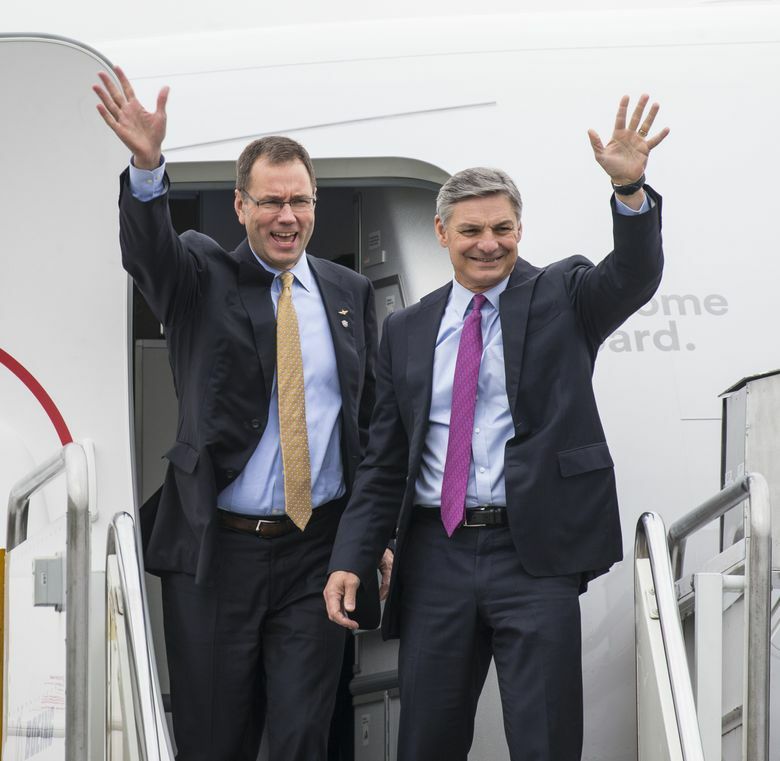 Inslee recalled the first time he rode on a Boeing airplane as a child and shared an optimistic outlook. “When you think of how far we’ve come since those days, imagine what the next 100 years can be,” he said.